White cementitious adhesive for ceramic tiles, with extended open time and zero vertical slip. 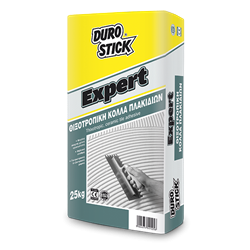 Provides high adhesive strength for applications on walls and floors, in thicknesses of up to 10mm thick. Suitable for installing single and double-fired tiles of all types (small sizes for outdoor applications, and all sizes for indoor ones), on walls and floors made of plaster or cement screed. Its high thixotropy allows for tile installation on walls, even from top down, without slipping. Classified C1TE per EN 12004.